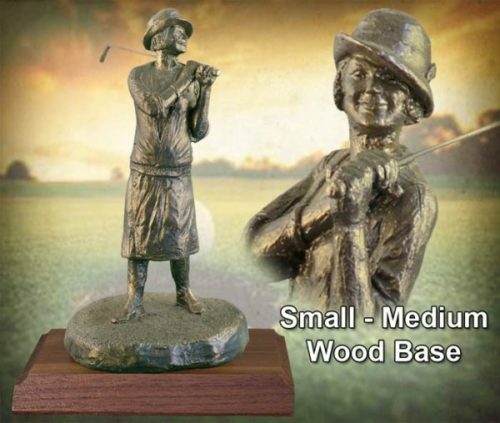 Don’t be surprised when “Birdie” scores under par. 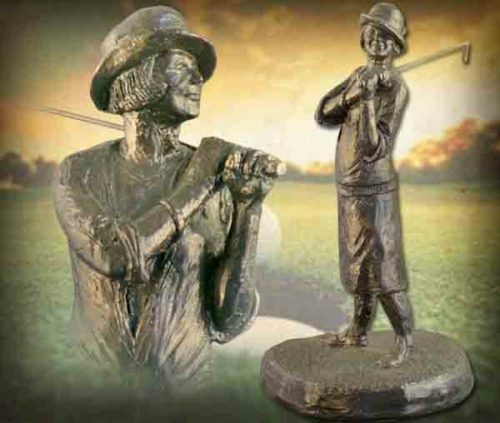 This sculpture by Michael Garman honors the women golfers who blazed the trail, becoming heroes to little girls everywhere. 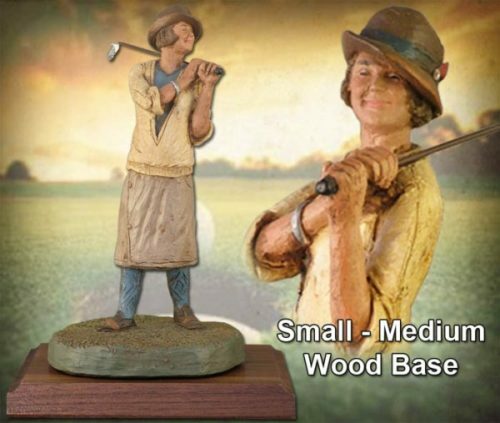 Sculpture measures 9″ tall. ©1992. Bronzetone finish. #MG042.